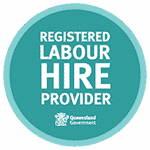 Business Owner versus Entrepreneur - Zelda Recruitment & Job Agency | Brisbane | The best jobs in Queensland. I was reminded again yesterday of the difference between being an entrepreneur and a business owner. Some people think they are one and the same. The former definitely requires a different temperament, attitude and approach to the latter. One can be a business owner and an entrepreneur, but not every business owner is an entrepreneur. My brother is an entrepreneur. I am a business owner. My younger brother was in Brisbane yesterday visiting from LA. At post Melbourne Cup drinks I introduced him to a few friends and someone commented about how entrepreneurial our family is. Well, at first glance this could, perhaps, be construed to be the case, as my elder brother started and runs his own venture capital business out of San Francisco, and my LA based brother started and currently operates an off-shoring recruitment company in the Philippines. So my siblings and I all own and run businesses, and we all happened to have started them from the ground up. So what makes one brother an entrepreneur and me a business owner? Zelda Recruitment started 18 years ago as a result of me having worked in recruitment for seven years. The motivation for me starting Zelda Recruitment was very clear in my mind. From my observation in the 1990’s, the recruitment industry workforce was predominantly female but many of the leaders, managers and business owners were male. Long hours and little flexibility were endemic in the recruitment industry and not an attractive prospect for women keen to have children and have a work life balance. So, to borrow and adapt a line from the 1989 movie, Field of Dreams, ‘build it and they will come”, I started Zelda Recruitment in 2002 along with a couple of experienced like-minded professionals seeking a female, family friendly work environment. I wanted to build a business that offered conditions that fostered a long term engagement with Zelda Recruitment. I am, and was, committed to promoting conditions that worked for working parents. Flexible working conditions, shareholding, and generous incentives and bonuses saw us able to attract and retain proven industry professionals and provide them with a happy home for the long term. This has been the cornerstone of our business and a key factor in our success. To me, my move to open a business, that offered something my competitors did not, was a very well considered next step in my career, and also an obvious extension of my capabilities and skills. I’d managed and lead staff throughout my career but starting my own business offered me autonomy to make a difference in the industry. As my former 89 year old neighbour said to me at the time, ‘It’s pluck, not luck’, and eighteen years on I’m still operating, and working in, our own small business and the majority of the team has been together for this time. Two of the co-founders continue to work alongside me in the business. My brother in comparison loves a start up. He has started, and grown many different businesses, and once they are established, he places them on the market and sells them. He often has a couple of incubating businesses and as each one reaches a nominated milestone he recruits managers to step in and the business continues to flourish with little operational input from him. A true entrepreneur! In stark contrast, if you took the Zelda out of Zelda Recruitment it wouldn’t be a valuable business to many people. Equally our key personnel and employee stakeholders are critical to our value add. Our business model is based on enduring relationships with staff, clients and candidates. An entrepreneur would have built the business up and moved on years ago. Not to be too dramatic, but selling Zelda Recruitment would be like selling my baby. I admit being an entrepreneur may sound more romantic and adventurous, but being a business owner of Zelda Recruitment is exactly what I am and exactly what I want to be. The new 5 second rule!